On 19 May the International Museum Day will be celebrated. 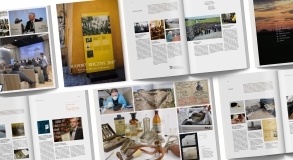 For this year’s edition the State Museum at Majdanek has prepared a special offer for people interested in the history of the Konzentrationslager Lublin, its prisoners as well as in the functioning of the Museum. This year the Museum Day has the form of the open door in different departments of the State Museum at Majdanek. 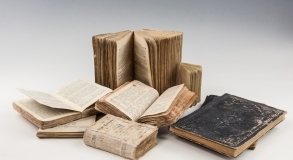 Additionally, a fair of museum books will take place. 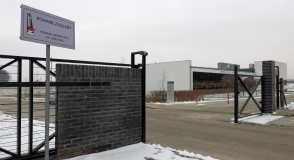 New temporary exhibition "The Displaced from the Zamość Region in the Majdanek Camp"
This summer the 75th anniversary of the displacement of the Polish families from the Zamość Region to the German concentration camp at Majdanek is marked. 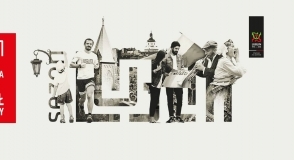 On 28 April we have opened a new exhibition devoted to the tragic fates of the region inhabitants who were detained in KL Lublin in June and July 1943. 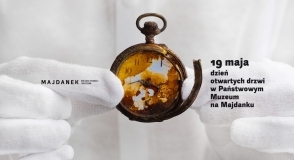 The State Museum at Majdanek is organising the third edition of the educational program ‘We remember… 17 March – 19 April’ which is aimed at students of secondary schools and upper-secondary schools in Lublin who are interested in the history of their city and the times of the German occupation in particular. On April 6, the participants of the 40th National Competition in Geodesy and Cartography visited the State Museum at Majdanek. At the beginning of November 2017 in the Visitor Service Centre of the State Museum at Majdanek, we opened a temporary exhibition of extraordinary drawings by Józef Richter. At first, there was very little information as to the identity of the artist. On March 19, 2018, the 76th anniversary of the beginning of "Aktion Reinhardt" was marked at the Museum - Memorial Site in Bełżec. 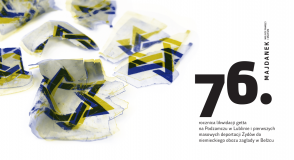 On March 16 in the Faculty of Humanities of the Maria Curie-Skłodowska University in Lublin, we have prepared two open lectures on the 76th anniversary of the beginning of "Aktion Reinhardt." The event attracted huge audience which is a proof of big interest in this difficult part of history. 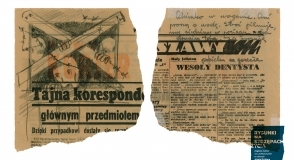 On the night of 16 to 17 March 1942, liquidation of the German ghetto for Jews in Podzamcze in Lublin took place. The next day the Jews were deported in the first mass deportation to the German Nazi concentration camp in Bełżec. It was the beginning of ‘Aktion Reinhard.’ On 16 March 2018, the 76th anniversary of those events, we would like to invite you to Maria Curie-Skłodowska University to participate in open lectures regarding this subject. 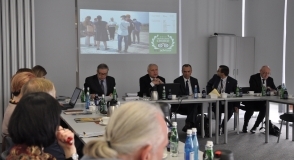 On 27 February the meeting of the Museum Board of the State Museum at Majdanek took place. By unanimous vote, the board members adopted Museum’s activity report for 2017 as well as a work plan for the next year. 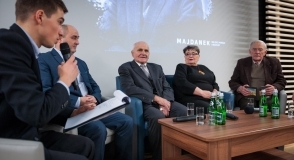 A scout, soldier of the Home Army, prisoner of Majdanek and a few other German Nazi concentration camps, Zacheusz Pawlak’s life was a subject of a meeting organised on 22 February by the State Museum at Majdanek. Its central element was the screening of a documentary, which was accompanied by a meeting with the filmmakers and Zacheusz Pawlak’s closest ones. 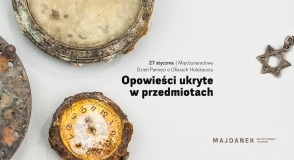 As part of the discussion on Majdanek as a place of memory of World War II, we would like to provide you with an article by dr. Tomasz Kranz, director of the State Museum at Majdanek, published in 2015 in the volume "Lublin Places of Memory in Public and Educational Space" (edited by A. Ausz et al.). 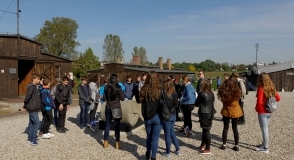 Nearly 200 German volunteers from the Federal Volunteers Service will have visited the State Museum at Majdanek by the end of April 2018. 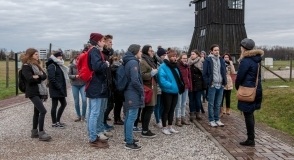 The aim of their study tours will be to explore the area of the former camp at Majdanek and to get familiar with the educational materials. 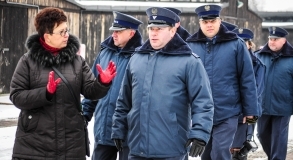 Directors and officers of the Detention Ward in Krasnystaw and Prison in Opole Lubelskie participated in workshops “Perpetrators of Majdanek. Common people or fanatic murderers?” which were held at the State Museum at Majdanek on 23 and 30 January 2018. 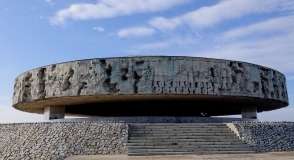 During the two-day celebration of the International Holocaust Remembrance Day, the State Museum at Majdanek commemorated the murdered Jews. 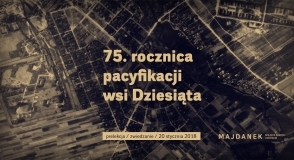 On January 20, 2018, the State Museum at Majdanek organised a meeting marking the 75th anniversary of the pacification of the village of Dziesiąta. It was an opportunity to talk with eyewitnesses to the events as well as to hear some unknown information concerning this topic. A report on the activities of the State Museum at Majdanek in 2017 has already been published. You will find there the most important events held by the Museum, accomplishments and information on the collections. Once again, The State Museum at Majdanek joins the celebration of the International Holocaust Remembrance Day. The number of people who visited the State Museum at Majdanek in the last five years increased by nearly 50%. In 2017, 239,149 people came to the institution. 75 years ago, on a frosty morning on January 25, 1943, the residents of Dziesiąta village were woken up by German shouts, banging on the door with rifle butts and barking dogs. The pacification of their small homeland began. They were given only several minutes to take the most necessary things. Then they were placed on carts and taken to the Majdanek concentration camp, which they had been viewing through the windows of their houses.